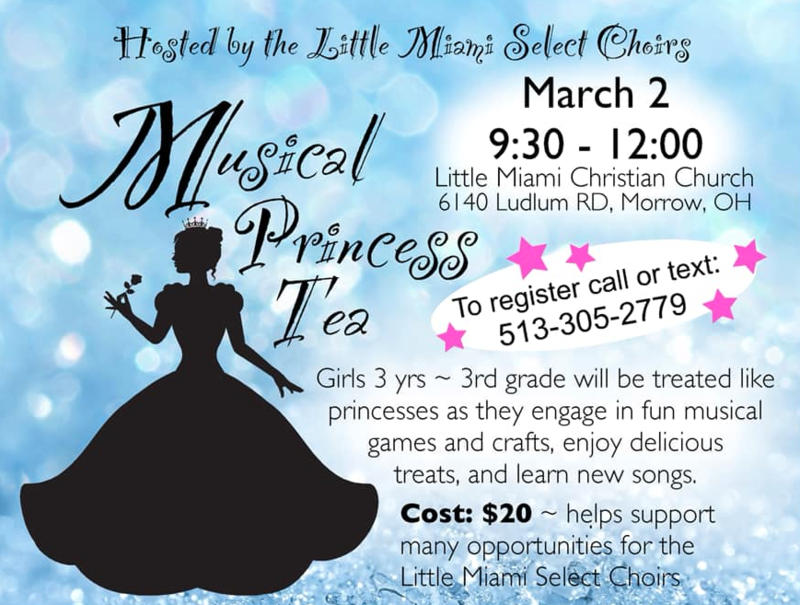 The Little Miami Select Choirs will hold a Musical Princess Tea for girls ages 3 to grade 3 on March 2, 2019 from 9:30 a.m. to noon at Little Miami Christian Church, 6140 Ludlum Road, Morrow. Young ladies will be treated like princesses as they engage in fun musical games and crafts, enjoy delicious treats and learn new songs. 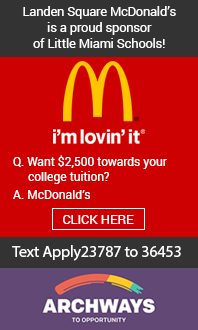 To register, call or text (513) 305-2779. Registration is $20 and proceeds benefit the LM Select Choirs. Download the registration form and schedule.